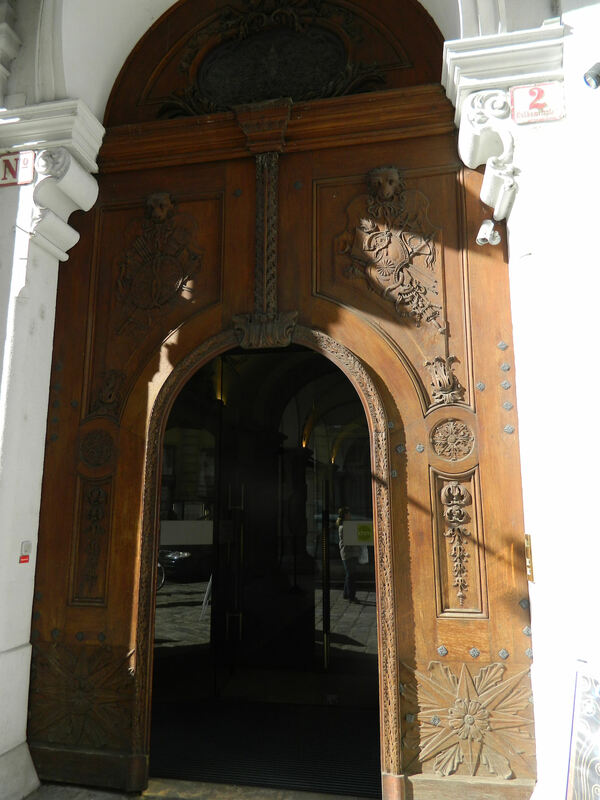 By my third day in Vienna, I had learned a lot about the history of the city’s most popular royals and had seen their palaces. 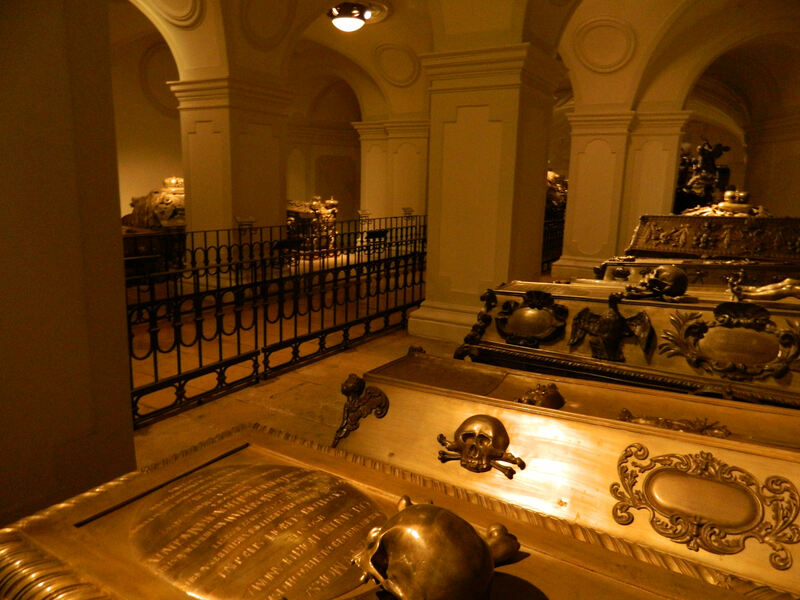 So when I heard that public tours are offered of the Kaisergruft (Imperial Crypt), I decided to pay a visit to the final resting place of these new friends with names like Sissi and Franz, Leopold, and Maria Theresa. 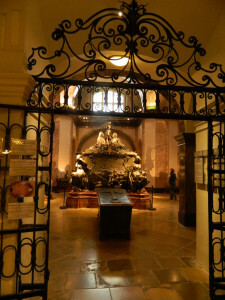 The Kaisergruft is under the unassuming Capuchin Church on Tegetthoffstrabe street, which is in the middle of shops and cafes and not especially well marked. It’s interesting that emperors and empresses are buried in such a “hidden in plain sight” area. 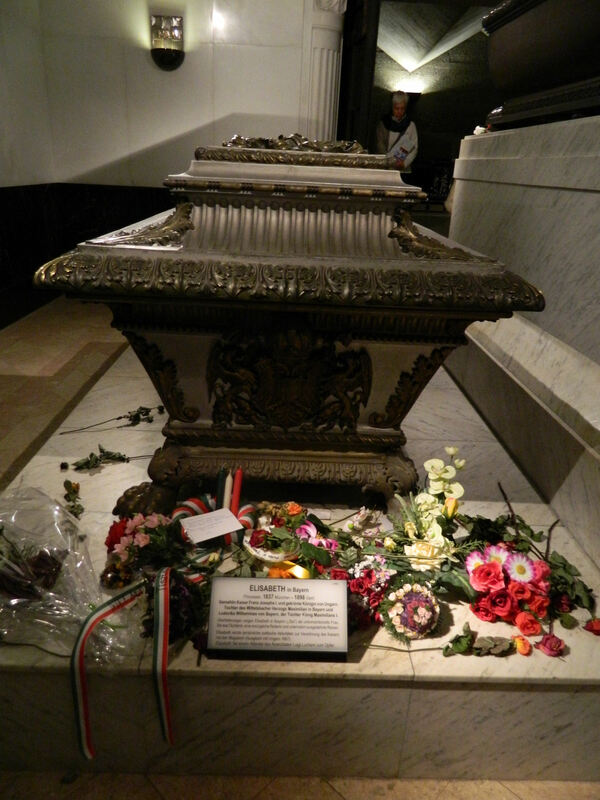 After paying roughly $7.00 for admission, visitors walk down a flight of steps (or take the elevator) to the burial place of generations of Habsburgs since 1633. 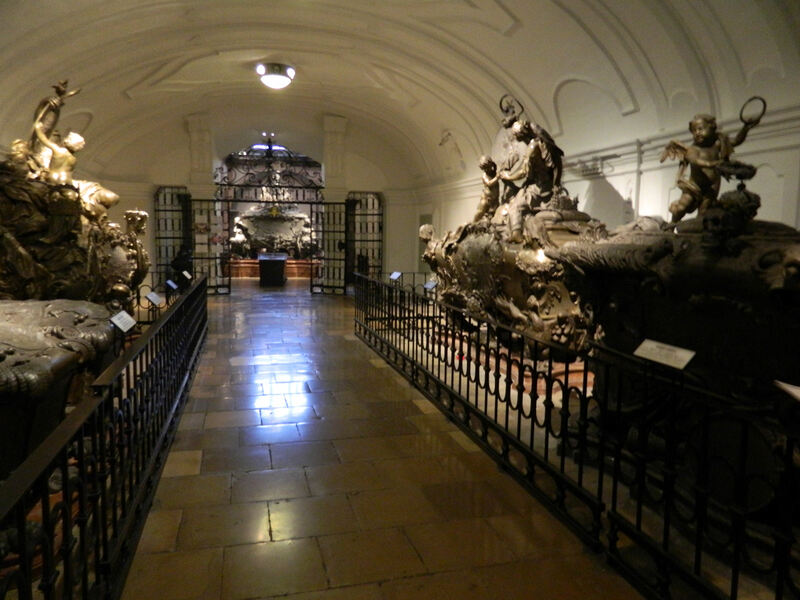 In fact, “bones of 145 Habsburg royalty” reside here, with the most recent addition brought in in 2011. 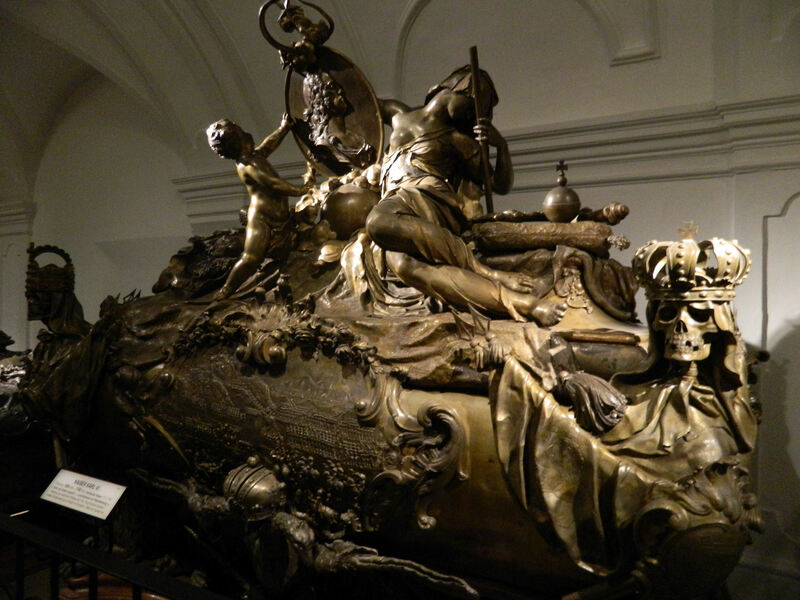 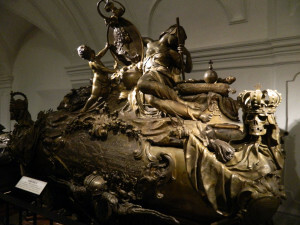 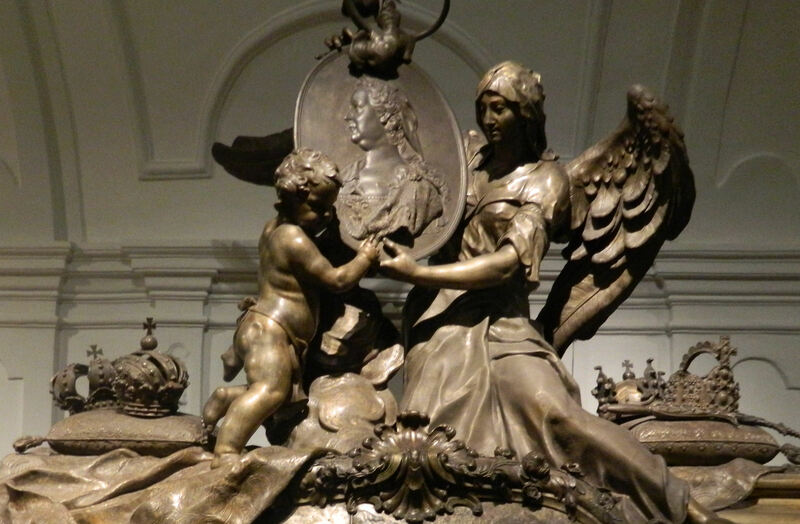 There is also the elaborate Maria Theresa’s Vault. She was Archduchess of Austria, in addition to being Queen of Hungary and Croatia, and by all reports remained deeply in love with her husband, Emperor Franz I. 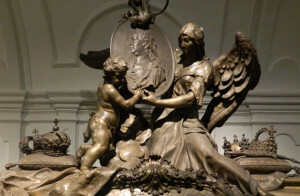 The largest tomb in this vault contains the remains of both of them and is topped with a double statue with a cherub, to celebrate their love. But Franz Joseph’s Vault may be the most popular of all the crypts. 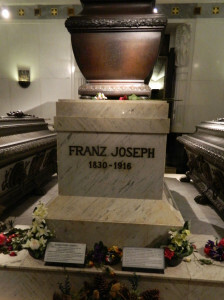 This is where Emperor Franz Joseph I is buried, along with his almost universally loved wife Elisabeth (known affectionately as Sisi) and his son, Crown Prince Rudolf. 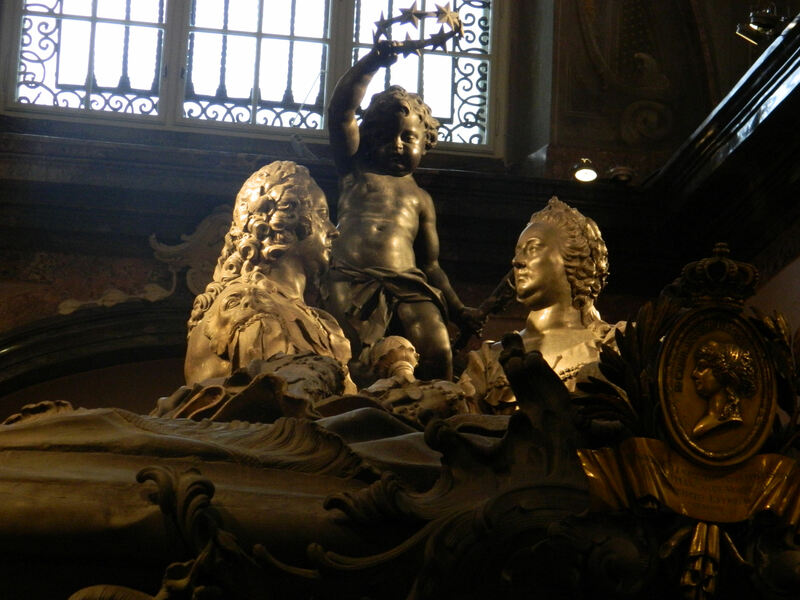 Overall, I prefer thinking about these larger than life individuals like in this clip from the movie Sisi, as she and Franz Joseph are smiling while dancing across the Imperial Ballroom in one of their palaces. Cheers! I have visited this place too. 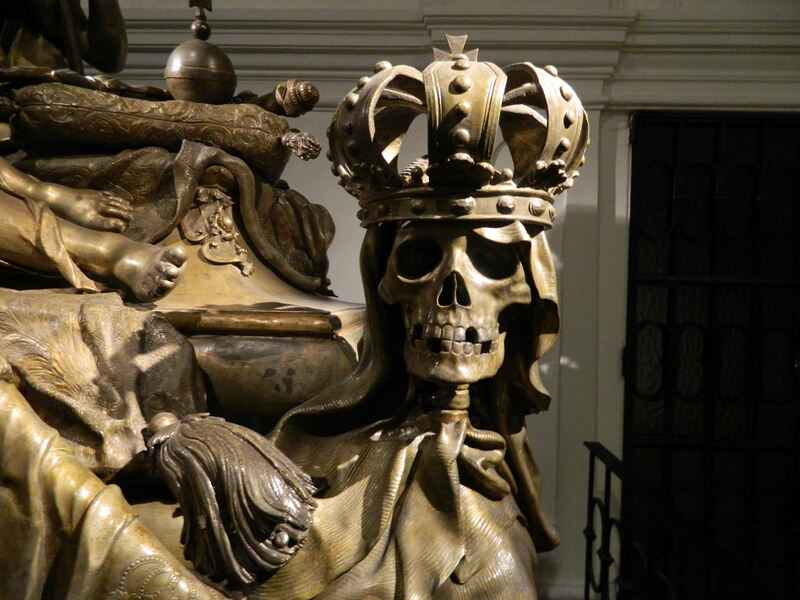 It isn’t morbid to me, it’s just fascinating. 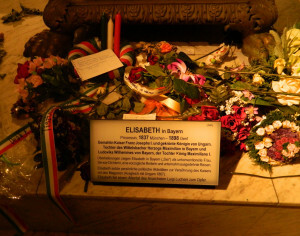 To realize that generation after generation of royals are buried here, makes all the history lessons so much more real. There were beautiful statues on most of the tombs. 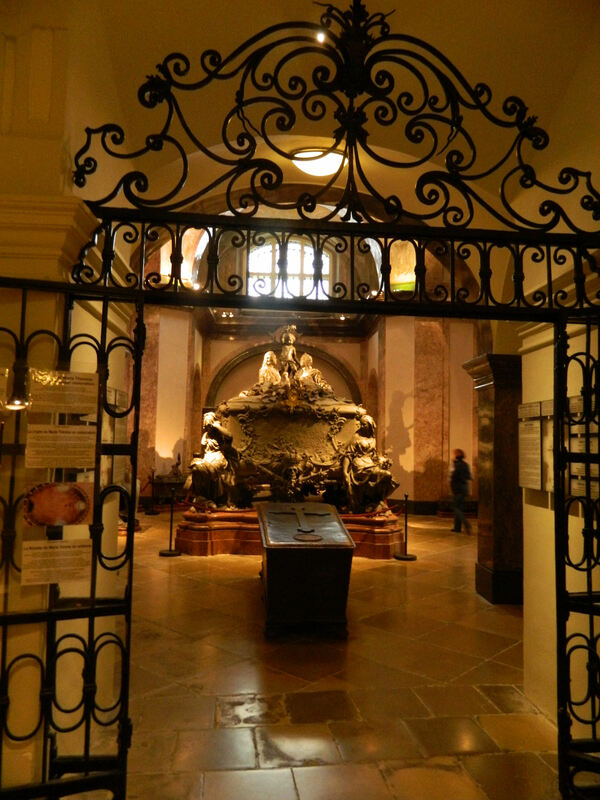 Quite a tourist place to see.